Take a deep dive into Fiona's kit; her favorite products of 2017. I'm sure everyone is sick to death of hearing about 2017 at this point. "Let's wipe the slate clean, let's move forward!" Yes, yes and yes, but before marching headlong into the new year, I wanted to take a few moments and reflect on some of my kit favorites form 2017. It may have been a crap year for politics, but it was a pretty great year for makeup! Ok, so let's start with the Tata Harper Illuminating Moisturizer. I was seriously making up any excuse to use this product as much as possible this year. Not only is it stunning under foundation, it gives bare skin a glow that feels like moonlight on water though a gossamer film, just so gorgeously, softly reflective. Obviously I used it on the face, but every chance I got I swiped it on the arms, legs, clavicles and décolletage. I even brushed it through browns to give them a glossy finish. And the scent is beyond delicious. Really, I can't say enough good things about this product, which is why it was a kit hero for me this year. Peripera is a K-Beauty brand. In case you've been living in a cave for the past few years, K-Beauty is the short hand term for the Korean beauty brands that have flooded the US lately, everywhere from Sephora to Ulta to the drugstore shelves. I love their innovation, their whimsy, their cute packaging and of course their formulas. They really know how to just be playful when it comes to products. 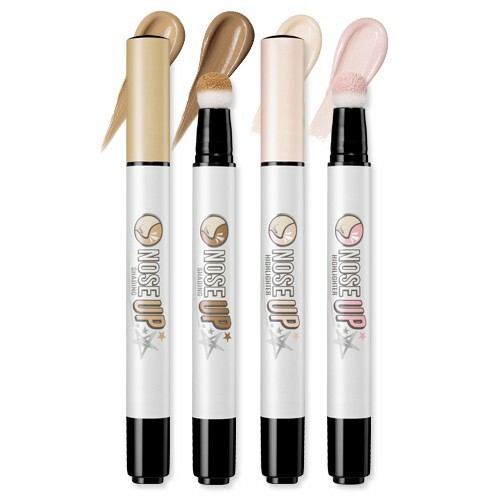 "Nose Up" are click pens with a cushion applicator that are used for contouring and highlighting the nose (obviously you can use them for cheekbones, or the jaw line as well). The color is so perfect; a light, soft taupe that will actually look like gentle shading....no streaky, harsh, dirty brown streaks here, no way no how. It comes in two shades, one for very light skin and one for medium skin tones. And if you use the highlighter (one is a champagne shade and the other has more of a white based pink-y tone to it) you can get a really pretty soft effect that will subtly alter the shape of your nose. Or you can just use it as a highlighter however you like. This find was a total score. And on the opposite side of subtle is the new NARS PowerMatte liquid lipstick. 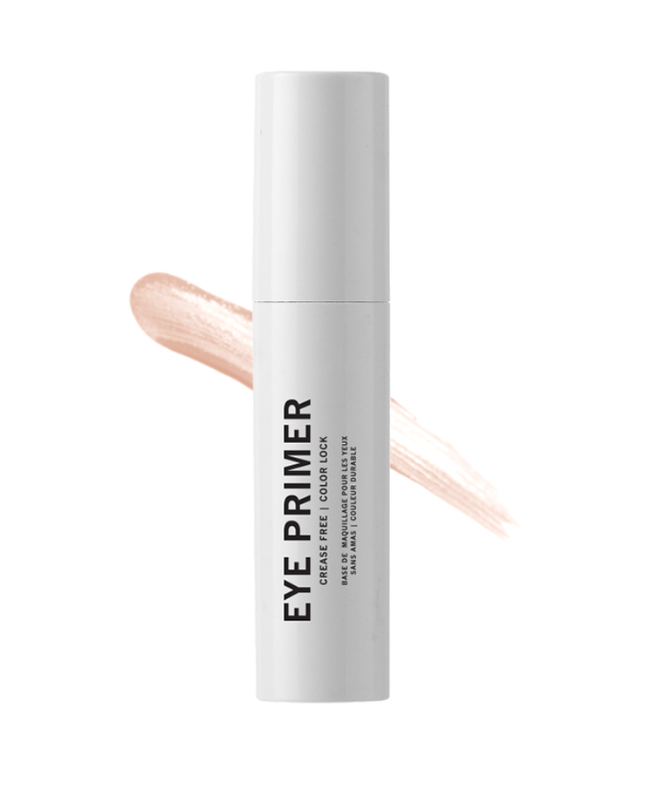 The shades are amazing and the formula is uber-longwearing and totally comfortable. Not shriveled up prune lips here. When I do a dark lip for the red carpet, there is no way I'm going to use some glossy, creamy formula. I need that lip to be perfect when they walk the carpet, dole out air kisses, go to the party and the after party. They don't have time to worry about their lip line, that's my job, so I want to send them on their way with a lip that will last for hours. Enter PowerMatte. So if you love a bright lip, a dark lip, a statement lip, run do not walk to the closest Sephora and get yourself some of these bad boys. You can thank me later. When I do a strong beauty editorial look, one of my favorite things to do is to powder the lips with loose pigments (usually one of the ones from MAC or sometimes a bright blush or eyeshadow color in a pinch) to make the lips look like velvet. Well, ICYMI, at the end of 2017 this incredible product was launched. The Le Baton Rouge from SURRATT Beauty is one of the most sublime products I've ever used. It's a matte lip liner/crayon on one end and a sponge tip applicator on the other, with pigment in the cap. First you line your lips with the liner and then add the powder on top of it for the most sensual, powdery matte lip. It's such a chic, modern way to achieve a matte lip and I am madly in love with this product. If I wasn't clear earlier about how long a premier night or award show night can be for a client, let me just say that it can sometimes be a 8-10 hour night, depending on the event. Like for the Oscars, we start makeup around 2pm and if they go to the Vanity Fair party, and then the after party after that, then we're looking at maybe 12 hours in their makeup. That's a long time for things to stay in place. The Heir Atelier Eye Primer is new favorite discovery. I've used eye primers before but sometimes they can dull the eyeshadow color or worse, make the shadow stick and go patchy when you apply it. This one doesn't interfere with the shadow color and it doesn't mess with the application. What it does do is lock the shadow in place perfectly, so I know my clients can dance, sweat, laugh and frolic into the wee hours without their eyeshadow creasing. And if they still look good when they leave that last party, then I've done my job. This product is my beauty wingman. Alright, now get out there and tackle 2018 like you mean it!